Two way radios (or walkie talkies) are an excellent way for the entire family to stay in touch while shopping or walking through the mall. 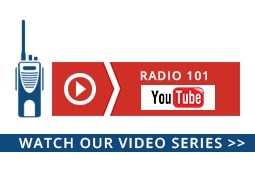 Supply a radio to every shopper and let them to explore at their own leisure. This allows for quick contact in order to discuss link up times, restaurant options or to notify that it time to return home. Range - Becoming separated in a crowded mall or shopping center is easy to happen, especially during the holiday seasons. 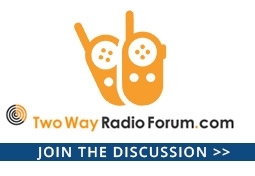 If a member of the group becomes separated or is off exploring another portion of the mall, the distance could be out of range for many low powered two way radios. A small, one watt radio is sufficient for most shopping areas, but a more powerful radio may be required to get full coverage in very large malls or shopping centers. 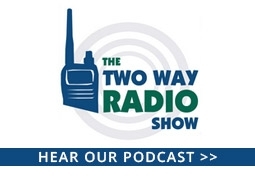 Size/Weight – Carrying a heavy two-way radio around the mall is not an ideal situation that younger people look forward to. The radio does no good if it is stuck into a pouch or pocket and unable to be heard when it is being contacted. Because an extremely high powered radio isn't required for coverage in most shopping areas, a small and lightweight radio may be a better choice. Battery Life - Without power outlets being readily available, keeping your radio charged is a big concern if you're planning an extended shopping trip. Short trips to the local mall could easily lead to a whole day out. 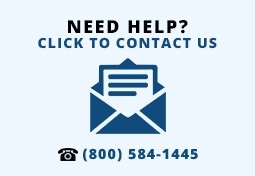 Look for models with extremely long battery life, those that have the ability to operate on standard AA or AAA batteries in a pinch, or models that support a vehicle charger. 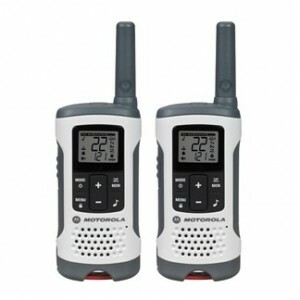 The Midland T51VP3 is an X-Talker Series two way radio with 22 FRS/GMRS channels, NOAA weather radio, weather alert, 38 privacy codes, and a maximum range of up to 28 miles in optimal conditions (typically less than .5 mile in urban conditions). 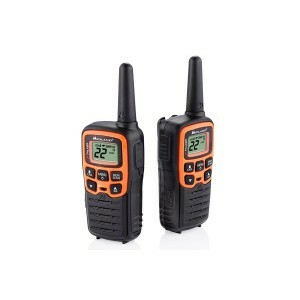 It is compatible with other FRS/GMRS radios for reliable two way communications. The Motorola Talkabout T260 gives everyone in your group the freedom to go farther outside and still stay connected. When you're camping in the woods, or hiking on the open trail, The T260 helps keep everyone in touch while exploring the great outdoors.